For the first time in the history of the Foundation of Parks and Museums of Cozumel (Fundación de Parques y Museos de Cozumel: FPMC) the doors open to exchange students of the Rotary Club to put their knowledge into practice in the different areas of the institution, and at the same time Cozumeleños have the possibility to learn from other countries. 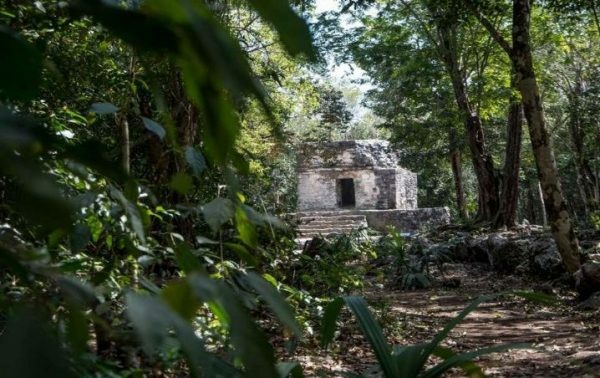 “Two students of German origin, who have a specialty in wildlife protection, arrived in Cozumel with the aim of integrating themselves into the FPMC, where they will apply their knowledge, and at the same time they will learn about the work that is done in the Protected Natural Areas managed by this foundation. And then they will go bck to Germany to share this experience with their colleagues”, explained Karla Catzín, president of the Rotary Club of Cozumel. The Cozumel Parks and Museums Foundation expands its horizons through international exchanges, that unlike other exchanges handled by Rotary International, this one has been named “New Generations in Service“, and the initiative aims to choose serious and respected institutions such as the FPMC, for local students to do social work and also learn through field practice and acquire professional experience. For his part, Emilio Villanueva Sosa, general director of the FPMC, expressed his approval for the beginning of this new alliance with a view to formalization through a collaboration agreement that also allows Cozumeleños, both employees of the institution and university graduates, to travel to any of the 22 countries with which Rotary International has exchange programmes. “The exchange of knowledge with international institutions will allow us to have a broader picture through successful experiences that could be implemented in the parks, with the aim of continuing to travel on the path towards modernity that the FPMC has initiated” concluded Villanueva Sosa.